The Michigan Court of Appeals recently issued an opinion reversing a sentence by an Oakland County Circuit Court judge sentencing a defendant for OWI Third. The court ruled that the minimum sentence for a DUI 3rd offense case is 30 days in jail with no sentencing alternative available. This case is a travesty to many defendants who will legitimately lose their jobs when sentenced to jail without the ability to maintain employment. This case is also further proof that the Oakland County Prosecutor does not serve it’s community but serves its political agenda of fascist style law enforcement with a total disregard for the future of its community or the rehabilitation of those who are processed through the criminal justice system in Oakland County. The basic facts in the case, People v. Connie Pennebaker (COA # 304708), were as follows: The defendant was stopped by police and determined to have a .13 BAC. She had two minors in the car. Because the defendant had two prior alcohol related driving offenses, the new offense was a felony. 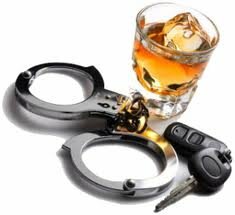 The felony drunk driving statute provides for a sentence of 1 to 5 years in prison or, in the alternative, a minimum of 30 consecutive days in jail if given a period of probation. The judge at the sentencing carefully considered the defendant’s personal circumstances, the facts of the case and the defendant’s compliance with the terms of her bond. The court determined that the appropriate sentence was 18 months probation with 30 days on the Oakland County Sheriff’s work release program. She stated at sentencing that the Sheriff considers the program to be custodial, i.e. incarceration. On appeal, the Court of Appeals originally denied the Oakland County Prosecutor’s application for leave to appeal but the Michigan Supreme Court ordered the appellate court to consider the appeal. After said consideration, the court reversed the judgment of sentence and ordered that the jail be imposed in the county jail and without tether-type work release. Oakland County does not have a jail based work release program that would be permissible under MCL 801.251. Under no circumstances can we reasonably conclude that confinement in one’s home or apartment is the equivalent of confinement “in jail.” This is so even where, as here, the conditions of home confinement require the person confined to go directly to work, to return home immediately from work, and to be at home at all times unless approval is given by a probation officer. Home detention does not include the highly structured setting of a prison or jail. One cannot remain on the phone for extended periods, invite friends for extended visits, order a pizza, watch television during periods of one’s own choosing, or have free access to the refrigerator in jail. Again, we are mindful of the serious nature of jail overcrowding in Michigan, including Oakland County, and the program the sheriff designed to handle this problem is a thoughtful method designed to deal with this difficult issue. However, it is for the Legislature to decide whether to alter the minimum and maximum punishment for this crime which, in this case, involved not only intoxicated driving, but the transportation of minors and a prior OWI conviction. Unless and until the Legislature decides to change the required penalty for MCL 257.625(7)(a)(ii), the plain language of the statute and our case law compel us to reverse the trial court’s sentence because it ignores the clear legislative mandate. What does felony OWI decision mean? It means that for those people who commit a felony drunk driving, a sentencing judge who carefully considers the facts and circumstances of the person’s life and makes a determination that he or she is capable of being rehabilitated will be powerless to help that person maintain employment thus creating a situation where rehabilitation is far less likely and the odds of re-offending is maximized. When a person gets out of jail and their life is ruined because their employment is lost and they are in financial ruins, the likelihood that he or she will achieve any meaningful measure of rehabilitation is minimized. If you are charged with a felony or misdemeanor DUI, OWI or drunk driving, please do not hesitate to call LEWIS & DICKSTEIN, P.L.L.C. at (248) 263-6800 for a free consultation and confidential case evaluation or complete a Request for Assistance Form and an Exerienced OWI Defense Lawyer will promptly contact you.